Nokia World 2009 has brought us two new phones in the shape of the new X6 and its little brother, the Nokia X3. Looking slightly similar to the 5800 XpressMusic, the new X6 is a more angular device, but brings 32GB of internal memory and also a 4GB card in the box. It will cost around €450 (£395) and will be available in Q4 this year. We haven't got any more information on the new phone, but we're hoping to find out more later today. Nokia has also brought a budget version of the phone, the X3, which will only cost €115 (£100), and will be launched at roughly the same size as the X6. We don't have any more information or specs on the X3, but we expect it won't be bringing the Comes with Music service for the price. 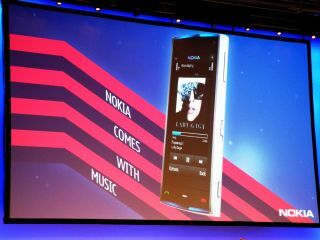 It also seems the new 'X' line of devices will replace the XpressMusic series as the flagship entertainment range for Nokia (as it is a bit of a mouthful) and we're also expecting to see more news on the C-Series later today.